On the 19th (Tue), explore the striking landscape at El Arco de Cabo San Lucas (Lands End) and then contemplate in the serene atmosphere at Iglesia de San Lucas. 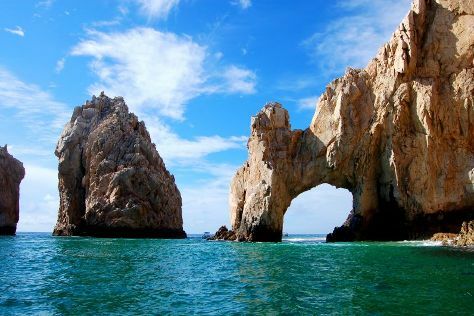 To find ratings, more things to do, photos, and more tourist information, use the Cabo San Lucas trip itinerary planner. San Jose del Cabo to Cabo San Lucas is an approximately half hour car ride. You can also take a bus. Traveling from San Jose del Cabo in December, plan for somewhat warmer nights in Cabo San Lucas, with lows around 21°C. Cap off your sightseeing on the 19th (Tue) early enough to go by car to San Jose del Cabo. Escape the urban bustle at Playa Palmilla (Palmilla Beach) and Cabo Pulmo Marine Preserve. There's lots more to do: take in the architecture and atmosphere at San Jose del Cabo Church, stop by Baja Blown Glass Factory, identify plant and animal life at San Jose's Estuary and Bird Sanctuary, and get a taste of the local shopping with Movimiento Art Gallery. 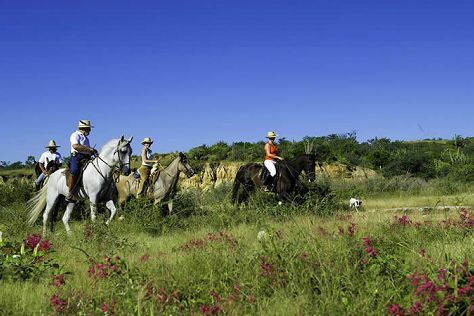 For photos, maps, traveler tips, and tourist information, go to the San Jose del Cabo journey website . San Jose del Cabo is very close to Cabo San Lucas. Traveling from Cabo San Lucas in December, plan for slightly colder nights in San Jose del Cabo, with lows around 17°C. Finish your sightseeing early on the 23rd (Sat) so you can travel back home.